Christmas message of His Holiness Patriarch Kirill of Moscow and All Russia to the Archpastors, Pastors, Monastics and All the Faithful Children of the Russian Orthodox Church. Your Eminences the archpastors, honorable presbyters and deans, God-loving monks and nuns, dear brothers and sisters! Today our churches are filled with people who have come to praise the Newborn Child of God – Jesus Christ the Savior and the Most Pure Mother of our Lord – Virgin Mary. The Nativity was the climax of human history. Man has always been searching for God: but the Lord chose to reveal Himself in full in His Only Son. The coming of the Son of God – and the Son of Man – conveyed to the world that God is not only the Supreme Power but also Love, God is not only the Awarder but also Mercy. God is not only a Stern Judge but also the source of life and joy, God is the Holy Trinity, whose inner law is love, and not just the world’s only Ruler. Today we are celebrating the event that changed the face of human history. The Lord descended to the uttermost depths of human life, became one of us, took upon Himself the entire burden of our sins, of human weaknesses and brought them to Golgotha to lift this unbearable load off man’s shoulders. From now on, God resides not in the forbidding heaven, but here with us and among us. At every Divine Liturgy we utter the words: “Christ is in our midst!” and the answer comes: “He is and he will be!” It is a graphic proof that tells us about the presence of the very Embodiment of God Himself – Jesus Christ the Savior – among His faithful. By regularly partaking of His Divine Flesh and Blood and following His Commandments, we can approach Him, our Savior, and receive absolution. Faithful and loyal disciples of Christ will be allowed to witness the coming of Kingdom of God personified by Jesus in their earthen life. We have been blessed with the honor of doing in this world as our teacher and Lord did, of being firm in the faith of Christ when facing evil and sin, of not giving up on good deeds, of not losing heart and striving day after day to reform our sinful nature into a new, grateful one. Jesus Christ set the impeccable, absolute criterion of being truthful about our attitude to the Lord – our neighbor. Bear one another’s burdens, share their pain and sorrow, be merciful towards the miserable and the destitute and so fulfill the law of Christ (Gal. 6:2) and become more like the Savior, who took up our pain and bore our suffering (Is. 53:4). On this joyful and shining day of the Nativity, when every creature hurries to the crib of the Divine Infant, one must not forget the others. The grace that is bestowed upon us today in churches must not be withheld from those living outside the Church, according to human tradition, according to the elemental spirits of the world, and not according to Christ (Col. 2:8). Should we not meet them halfway, this Good News may never reach them; should we not open our hearts to share the joy that is filling them up, it may never reach those who are ready but do not have it. Through the Son of God the human nature was lifted up to unfathomable heights. Not only was each and every one of us created “in the image of God,” but through Christ were we adopted by God: no longer are we foreigners and strangers, but fellow citizens with God’s people and also members of His household (Eph. 2:19). This intimacy and daring with God is conveyed in the prayer to our Lord where we call upon the Maker as our own Father in Heaven. Every human life is priceless, for it was bought with the Birth, Life, Death and Resurrection of the God’s Only Son. This is yet another reason for us to revere every human being, despite our differences. 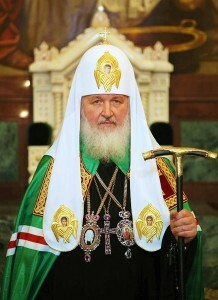 St. Prelate Philaret (Drozdov) of Moscow said that “love is active partaking in the wellbeing of one another.” In these joyful days of Nativity, I would like to call everyone to this kind of active love or, as St. Paul put it, to be devoted to one another in love, honor one another above yourselves, never be lacking in zeal, but keep your spiritual fervor, serving the Lord. (Rom. 12:10-11, Eph. 13:16). I congratulate you wholeheartedly on the great holiday of the Nativity. May the God of love and peace (2 Cor. 13:11) grant peace and welfare to our people and every one of us in New Year.